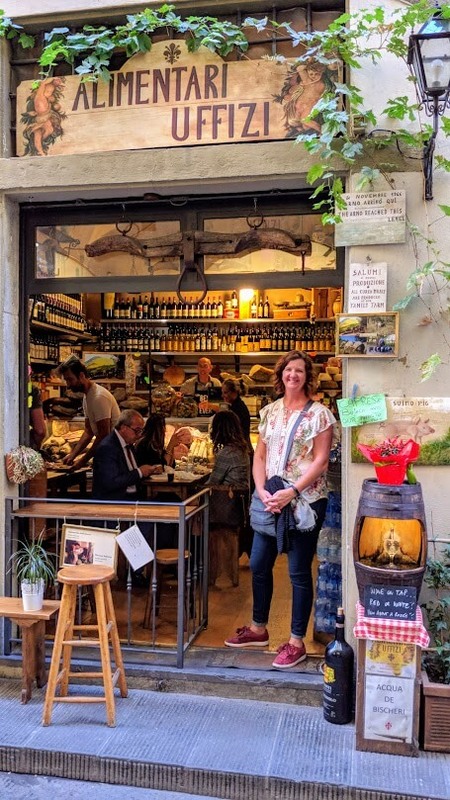 On a research trip with Metropolitan Community College's Culinary Arts Program, student Anna Hartman gets a taste of life and love in Italy. Editor’s note: This month’s article is written by MCC Culinary arts student, and new contributor to The Reader, Anna Hartman. Anna loves to eat, drink, and do outdoorsy things. After years in the software industry by day and attending Continuing Education cooking classes and pairing dinners by night, she is a first-year culinary student at MCC and spends as much time there as possible. She lives in Omaha with her husband and two adult kids (when they come over to eat or do laundry). Follow her on Instagram @huskeranna. We commenced our trip at the University of Gastronomic Sciences (UNISG) with an introduction to Slow Food and traditional Piedmontese food, moved to Turin for the incredible Salon del Gusto, trained to Genoa, and noshed and sipped our way through Liguria, Emilia-Romanga, and Tuscany. Carlo Petrini started the Slow Food movement in Italy in 1986 to prevent the disappearance of local food culture and tradition, believing that everyone has the right to access good, clean, fair food and dining experiences. Massimo Bottura’s soup kitchens are a manifestation of this tenet — beautiful spaces that provide sustenance in a dignified, pleasurable way, regardless of the diners’ circumstances. On our last morning at UNISG, an introduction to Langhe wine grape varieties and terroir preceded a tour of Banca del Vino, founded in 2001 to preserve the historical importance of Italian wine. It is an incredible space cellaring over 100,000 bottles of wine and displaying select bottles alongside jars of terroir. Forums, tasting sessions, demonstrations, and a market comprise Salon del Gusto, an amazing event that brings together the global Slow Food community. I spied a familiar Mangalitsa sign, where unctuous salame was sliced so thin it melted on the tongue. After sampling a few local craft beers, we tucked into focaccia with vegetables, which hit the spot in a way Doritos never will. Inside the Oval stood International Booths for those who wanted to expand their personal taste banks. Still carrying our last beer, we were invited to try a classic beer snack of tiny crispy fish by a beautiful Balinese woman in brightly colored traditional dress. A Venetian vendor insisted he drizzle EVOO on a bit of smoked salmon on toast and I readily assented – salt, fat, sweet, and acid coming together for a near-perfect bite. Next, the sublime aroma from the Bianchi Truffle samples beckoned. Fresh pasta, pastries, and a lesson in slow food led me to Casa Martini, where I indulged in a boozy, pungent, bitter, bright Negroni served in a gorgeous cut crystal glass. Resisting my American urge to return for repeat samples, I left for the wine festival held on the plaza at the Royal Palace of Turin. Here I found tables set upon pallets, and new friends drinking from real glassware in a gorgeous, ornate plaza. Traditional Antipasto is served before a meal or as part of Merenda Sinoira, an afternoon repast which by its abundance tends to supplant supper. We tried Acciughe Con Salsa Verda, whole anchovy filets in an herbaceous, garlicky sauce; Carne Cruda, ground meat mixed with olive oil, garlic, lemon juice, salt and pepper; and Vitello Tonnato, a traditional dish of thinly-sliced cold veal topped with tuna sauce bound with Russian salad and laced with capers. Agnolotti del Plin is a delightful Primo dish, taking its name from the regional dialect for “pinch”, describing how the two sheets of pasta are closed. The gorgeous pasta, based on a recipe from the 12th century, is traditionally filled with veal shoulder, pork, and greens and finished in a brown butter sauce. 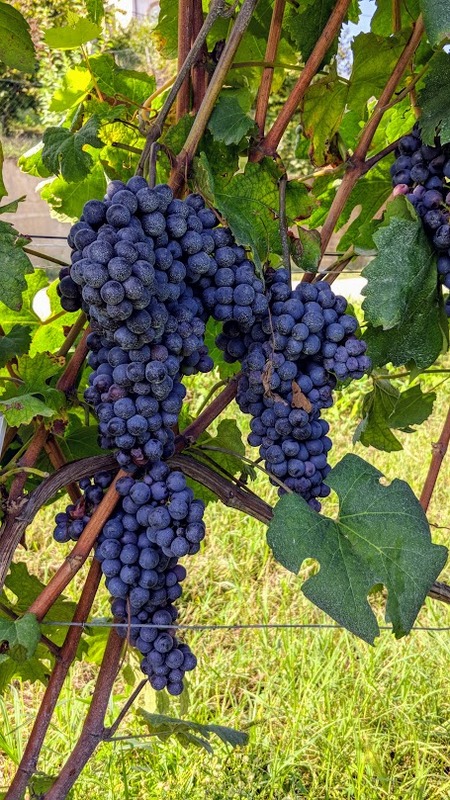 Nebbiolo, named for the fog that descends over the vineyards at harvest time, is the grape responsible for some of my favorite Italian red wines. Cascina Chicco is a family winery operated out of an impressive structure in the Canale hills, named after the family’s grandfather, whose nickname was “Chicu”. Driving through the countryside, Bruna Alpina dairy cows munching on grass in the fertile Po River Valley welcomed us to Fattorie Fiandino, where they craft complex, aged Grana Padano using vegetable rennet from thistle flowers. 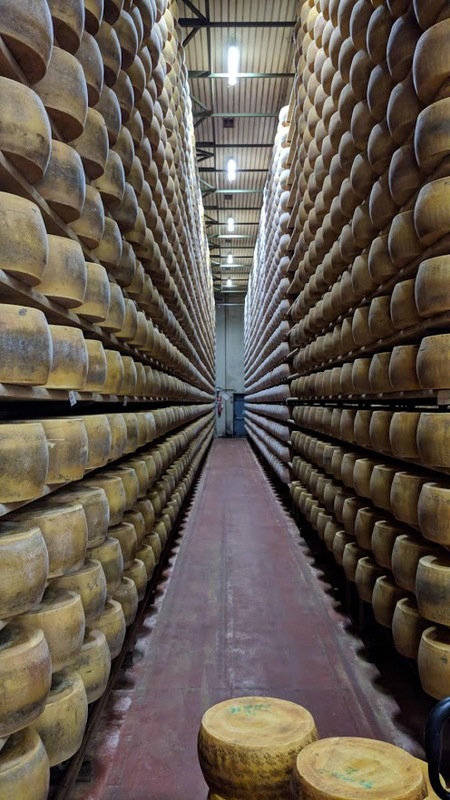 A warehouse full of aged wheels of cheese is something to behold from both olfactory and visual senses. A train brought us out of Piedmont and into Liguria through hills, stone tunnels, and technicolor homes. We arrived in Genoa and embarked on a quaint historical tour. As we walked the narrow streets of Old Town, we tasted local treats including Pan Dolce, Panera, and Focaccia Genovese. At Pietro Romanego Fu Stefano, we feasted with eyes on traditional candies made in the same way since 1780. Our tour guide provided samples of what looked like jelly beans, but when placed on the tongue, the coating dissolved, and a rush of flavor exploded. We squealed like children, enjoying the surprise. La Ricolla farm and vineyard is situated on a hill topped with a 13th century basilica. After making homemade pesto, we enjoyed a wine pairing with bites presented on local slate plates. This winemaker uses only grapes grown on the farm, and here we were, enjoying the wine at a table right next to these grapes. It was as if the juice jumped from the grape directly into our mouths, fresh and amazing. After a brief stop on the coast to dip our toes into the Mediterranean, we headed onward. Parmigiano-Reggiano and balsamic are Italian ingredients produced only in this region of Italy. Donning booties and hairnets for a tour and tasting of La Grande, we learned that milk, rennet, and salt are the only ingredients in this complex-tasting cheese used to provide umami flavor in so many dishes. Next, Leonardi, makers of Aceto Balsamico since 1871. Lambrusco grapes are cooked at 80 degrees C and stored in a large oak barrel until ready to add to rows of small wooden barrels called batteries. Each battery, often named for a family member, comprises a minimum of 5 wooden barrels in decreasing size, used to age the vinegar and impart flavor. meat/cheese shop full of locals. Warmly welcomed by the proprietor, we grabbed a glass of wine, a seat in the corner, and used poor Italian to order food. Silly grin on my face, I tucked into the best charcuterie of my life. One of the first things you learn at MCC ICA as a culinary student is the Chef’s Oath, comprising 15 rules. Rule 10 is Taste Everything, and we did. Rule 3 is Spread Love, evidenced by the ladies in the small Torino enoteca who treated us like family, presenting gratis snacks as we enjoyed our wine, an experienced Chef and teacher who bought drinks for both chef and dishwasher of a small restaurant we clearly overwhelmed, and my favorite, the nightly shared wine and conversation among our diverse group. I am so grateful be a part of this group, the community at the MCC ICA, and the human race. Tired but happy, we returned home, already planning the next adventure.